We’re excited to announce that, after a long wait, we’ll be updating the whole family of Fastcase apps soon; including brand new apps for iOS, Android, and Windows Phone. 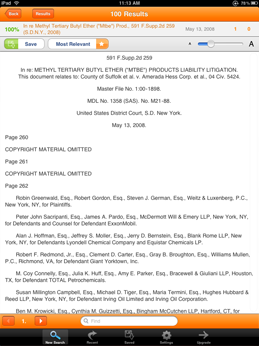 Although Fastcase was the first legal research app for iPad, it’s frankly starting to get long in the tooth. Fastcase doesn’t currently take advantage of the higher-resolution “Retina” screens of the new iPad, and it’s time for a few new features in Fastcase as well. 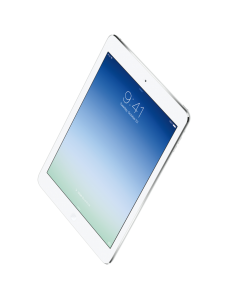 FAQ: Why does Fastcase keep crashing on my iPad? Many users have told us that Fastcase is crashing when they launch it on their iPad. Here’s why, and how to fix it. In short: Apple broke the Fastcase login with the release of iOS7, and developers can no longer release (even small) updates to iOS apps without re-engineering the apps for iOS7. We’ll release an updated app later this fall. On the plus side, there’s a very simple fix that works right now, every time. If you’re having a problem with the current app crashing or closing after clicking the Login button, you can bypass that bug by simply starting the app, entering in your username and password and then clicking Go on your iPad virtual keyboard (or pressing Enter on your Bluetooth keyboard). That’s it: just press Go on the virtual keyboard (or Enter on your physical keyboard) instead of clicking the Login button on the screen. If you need any help getting logged into the current app, please get in touch with us using any of the three contact options listed on this page. We want to be sure you can continue enjoying our app in the interim. New Statutes, Mobile Sync, and more! One thing that does not require an app update: we’ve been adding to our statute collections in the app. Fastcase’s statute collections included the U.S. Code and 42 state statutes when we launched – today it’s all 50 states, and we update the editions all the time, so stay tuned. And if you’re a Fastcase subscriber, through your firm, company, or state bar association, now you can synchronize your work between desktop and iPad with Mobile Sync. That means that you can save documents on your iPad, then print them when you’re back in the office. Or save documents on the desktop, so they’re available as favorites on the iPad, like a virtual trial notebook. You can find more information about here. It’s easy and takes less than a minute, but unlocks some powerful features in your Fastcase app for iPad. You’ve named us to countless lists, told your friends, and even made us the most popular legal app in the ABA Technology Survey for 2013. We’re very grateful, so on behalf of our whole team, thank you! We’ll be announcing the release date for the new apps as soon as it becomes available so follow us on Twitter or Facebook to be the first to know when the new apps are released. 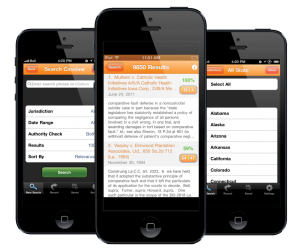 Thanks for choosing Fastcase as your mobile legal research provider!